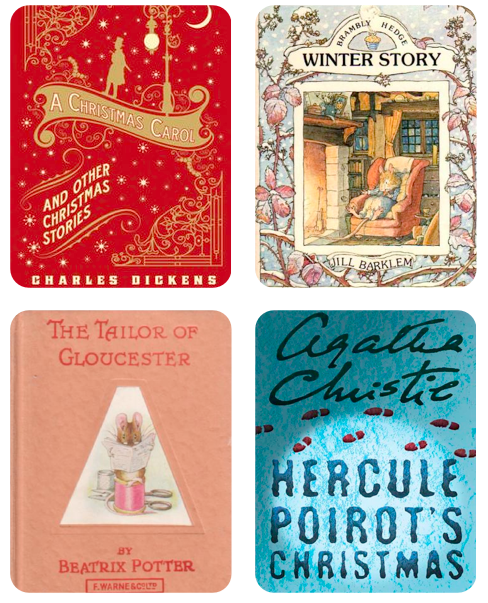 12 Days Of Christmas – Christmas Books! My ’12 Days Of Christmas’ blog series is back, and in the lead up to Christmas I’ll be blogging everyday with posts full of tutorials, recipes, decorating ideas, crafts and more! To kick things off, here is a post all about festive books! Read because… The illustrations are so, so beautiful. I cannot express my love for Brambly Hedge enough. I read this every single year and still love journeying with the mice to the Snow Ball, dancing and feasting and watching the first flakes of snow begin to fall. Read because… It sets the scene perfectly for Christmas morning. Full of mice, tea cups, Simpkin the cat, and ‘No more twist’, the story explores the magic of Christmas Eve night when all the animals can talk. Although written for children, the Victorian language, songs and rhymes make it equally lovely for older readers. Read because… A little bit of suspense and detection are delightfully different to the usual heart-warming Christmas stories, and provide quite a contrast. Can you solve this festive murder mystery and find out who dunnit? Read because… There’s so many adaptations of this, perhaps the ultimate Christmas story, that it’s nice to go back to the original inspiration and text. Full of imagery of joy, cheer and warmth, contrasted with the dark, coldness of Scrooge at the beginning, the book helped to cement many of the traditions we still follow at Christmas time today. What are your favourite things to read at Christmas? ← Black Friday/Cyber Monday Sale 2013!